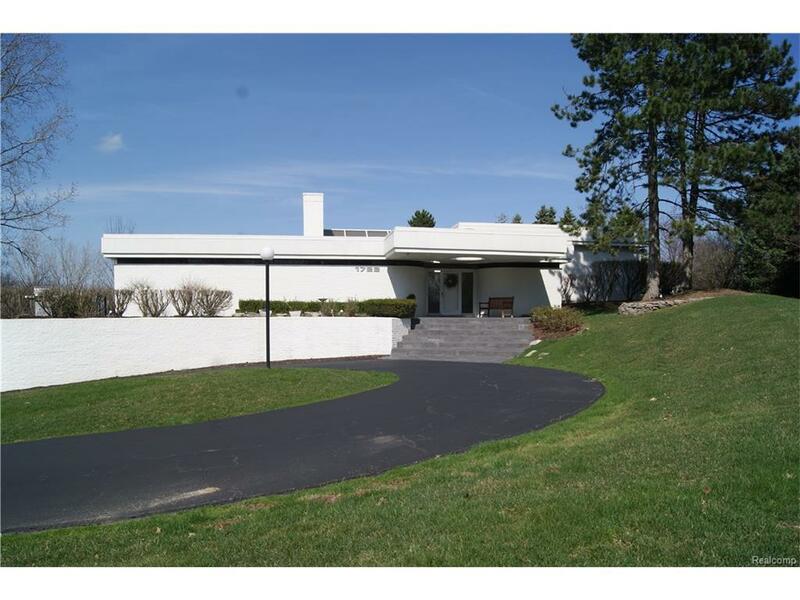 Stunning North Wabeek Contemporay on Hilltop Elevation with Gorgeous Nature Views & View of Lake. Beautiful Architectural Design with Open Floor Plan, Walls of Windows, High Ceilings. Great Room w/ 2-Way FP with Sitting Area and HW Floors. Gourmet Island Kitchen w/ Granite, Sub Zero, and High-end Appliances. Den or TV room w/ Built-Ins. Dining Room w/ FP & Built-In Buffet. Large Laundry Room. Spacious Master Suite w/ Huge WI Closet & Luxury Bath. Finished Walkout LL w/ Family Room w/ FP & Seating, Reflection Pool, Billiard Room with Large Wet Bar, Exercise Room and Bedroom w/ Full Bath. All M & D Approx.